What's at the bottom of Crowe Lake? 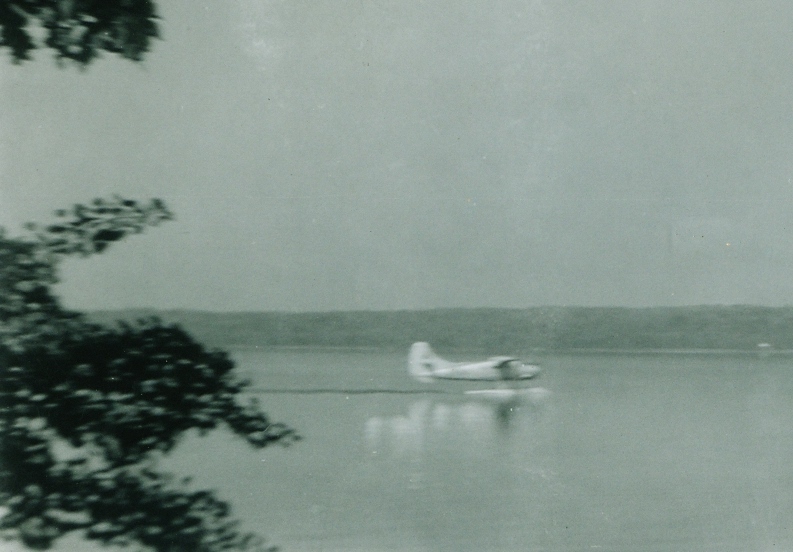 There is something at the bottom of Crowe Lake. It may not be a "Loch Ness" type monster but it is still interesting and a lot more real. Like almost all of the first communities of Upper Canada, Marmora was built on a substantial water system. But Marmora was not a simple mill town. It was Upper Canada's first mining town and its first really industrially-based centre. When Charles Hayes established the Village on the Crowe in 1892, he had the advantage of an enormous, never-ending power source in the waters of the river. Those waters drove his wheels which pumped the billows of his blast furnace. They powered his saw, bark and grist mills and they also did something more - they gave him a means of transportation. It was reasonably easy to clear the waterway from Fidlar's Rapids on Beaver Creek to the village and back up the Crowe River to the lake. 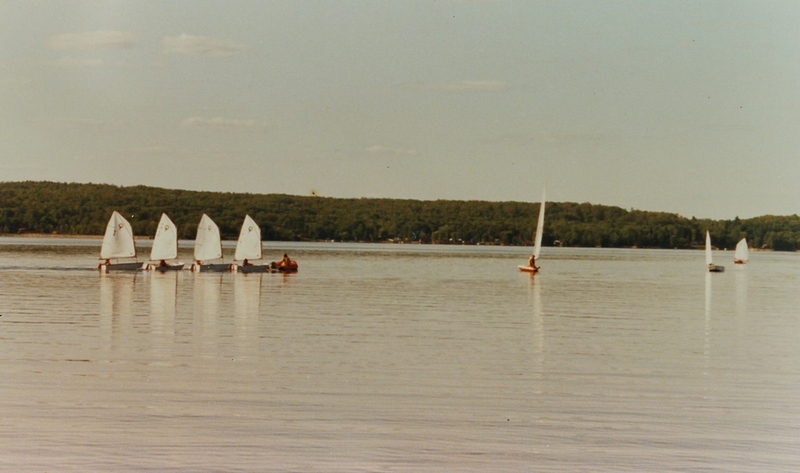 By proceeding westerly across the lake, Hayes' barges could reach the "immeasurable mountain of Iron Ore" at Blairton. There, the barges were loaded and turned to begin the two-day trip downstream to the furnaces of Marmora. One of the abiding beliefs in our community is that one of Charles Hayes' barges lies at the bottom of Crowe Lake. Laden with ore, it is said to have swamped and floundered to the bottom where it remains to be explored. Perhaps one day it can be shown to be so. Difficult as it may be to prove its existence, this belief will continue because it's impossible to disprove (at least without draining the lake). It does seem that something is down there. There are too many reports of sightings for there to be nothing on that muddy bottom. One thing seems certain: what is now at the bottom of the lake is almost surely one of the vessels that plied the surface years ago. It could be another type of vessel however, because at one time Marmora looked to be a shipping centre. In fact, the perpetually optimistic Marmora Herald pronounced that the village would soon become "the Venice of North Hastings." It was shortly after the turn of the century and Marmora was now booming with another industry: lumbering. The mills were making the merchant class wealthy, especially the leading Pearce family. It was a time when one could expect more from life than just an endless drudgery of working for survival, if, that is, you were successful. Things were looking up and it looked as if they would stay up. The occasion for this bold prediction was the launching of the "Queen of the Seas" in 1919. 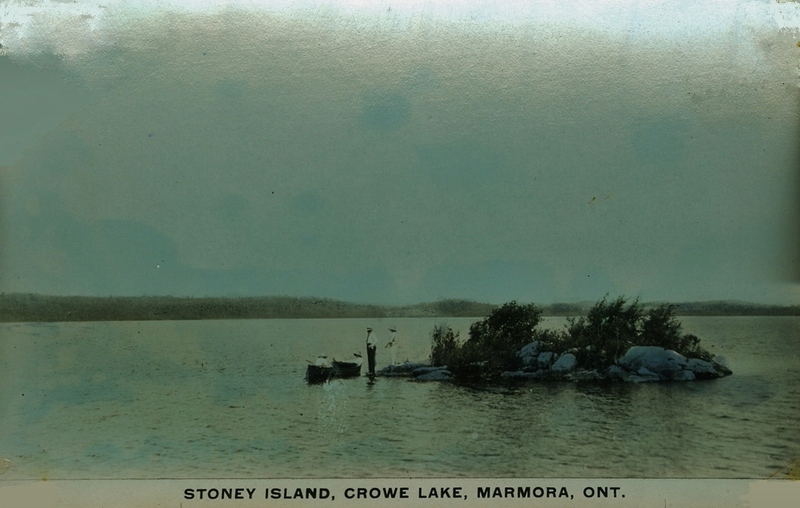 The little ship had been constructed secretly at the Marmora Cooperage Co. in its plant on the shore of the Crowe River. After all their work, the owners were determined to christen her properly. In the presence of an immense crowd of workmen, Miss May Dickerson broke the traditional bottle of wine over her bows and gracefully named her Queen of the Seas. Despite the grandeur of her name, the boat was neither a warship nor one of the impressive pleasure yachts already plying the Crowe system. She was definitely built to work, and work she would, rescuing stray bolts of timber for the lumbermen who ran the annual log drives to the sawmills of Marmora. She will be fitted with all the modern conveniences. The cabins will be models of comfort and art. She will have two ice cream saloons and a tonsorial parlour on the main deck. She will be installed with the Marconi wireless system, which will automatically signal to the chief sawyer at the mill every time a wandering bolt is found. Mammoth landing nets will be installed behind her paddle wheels to catch the fish that may be thrown into them and the fish caught will be immediately cooked and served at 10 cents a mess, half of the proceeds to be divided among the four churches of our municipality We should like to add that these two ships are but the precursors of a mighty fleet, which will soon make Marmora the Venice of North Hastings.